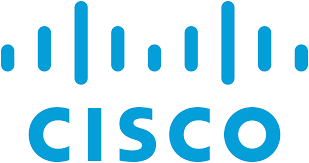 "Cisco: Experience and long-standing innovation "
This Unified Computing Systems is cost-effective. With a very modest IT crew, we have been able to afford a cost of US $20,000 for a UCS Mini, delivering 10 GBPs networking in a form expandable to 14 servers. So, our IT members have enough time to help running the business, taking care of day to day tasks. It could result in about US $70,000 investment for bigger businesses. In my opinion, a little higher compared to similar hardware. Set up has been a little complicated for a 2 person team. Design specific spaces for installation. Additional memory can only be Cisco brand. Cisco USC has helped our business in addressing budget and performance challenges in remote office projects. We have been able to optimize under utilized environments with the use of Cisco UCS Mini. * We monitor all UCS Mini reviews to prevent fraudulent reviews and keep review quality high. We do not post reviews by company employees or direct competitors. Validated reviews require the user to submit a screenshot of the product containing their user ID, in order to verify a user is an actual user of the product. Hi there! Are you looking to implement a solution like UCS Mini?